I uninstalled then restarted but It can be fixed. Sorry for my bad English. Have you tried running Windows Update [make a system restore point first though]? Hi ngudulalase, and welcome to the Forum! Click on any one of these devices, and it will tell you in the details pane of Device Manager what is the description of the problem. You have error message. 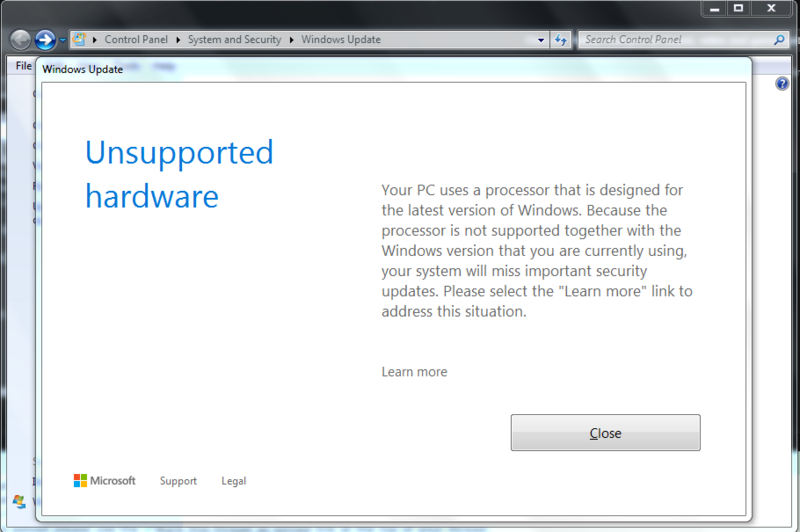 This message from Microsoft is advising you that the processor Pentium G4600 is not supported on Windows 7. For more information on this type of error message, please read here: the processor is not supported together with the windows version that you are currently using. This would mean that your computer would be unable to receive automatic updates from Microsoft, while you use Windows 7 on that computer. The options available to you are to install Windows 10 on your computer hardware, or, seek to install the drivers manually. to fix unsupported hardware message go to the below link, click on Latest Stable Builds and download the .msi file, then run it after you download it. GitHub - zeffy/wufuc: Disables the "Unsupported Hardware" message in Windows Update, and allows you to continue installing updates on Windows 7 and 8.1 systems with Intel Kaby Lake, AMD Ryzen, or other unsupported processors. You have two paths to a solution here. The best one is the let windows update solve this. So try the wufuc solution mentioned above, then reboot then run windows update. You may have to do it several times as it catches you up to past updates. It also may make you wait for 5-45 minutes while it searches for updates. 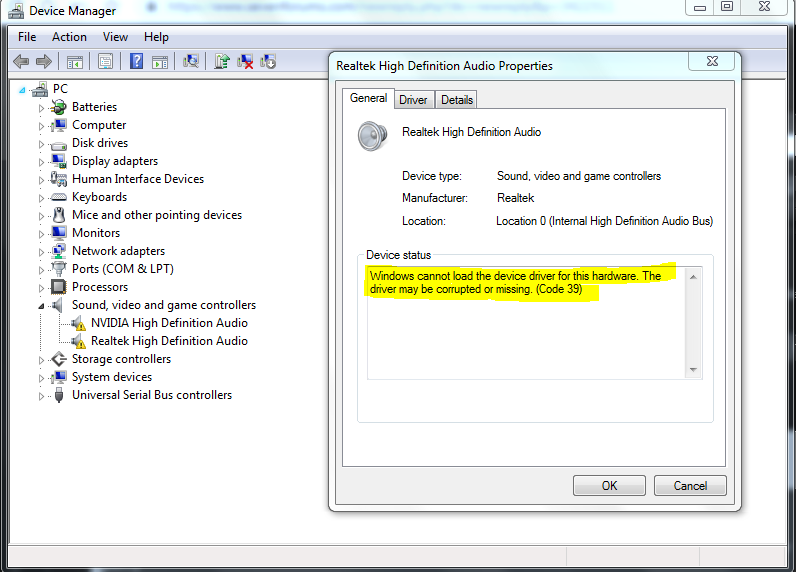 realtek high definition audio driver Download for VISTA,WIN7,WIN8,WIN10/64bits - To To Be Filled By O.E.M. 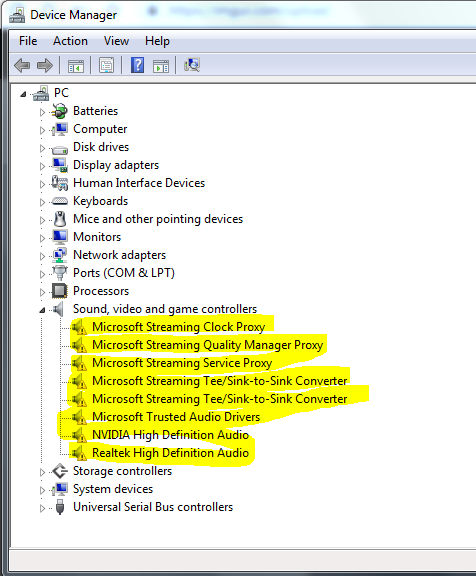 No sound, video game controller in device manager. No audio full stop.